With a large following on Twitter and Facebook, ex-Malaysian PM Najib Razak is dominating the local social media landscape. Lately, Najib is showing some guts, taking on DAP’s leader Lim Kit Siang on the latter’s challenges against the former PM to meet the public to see if he is wanted. Lim Kit Siang kata kalau berani jumpalah orang asli. The tweet above shows how Najib is now teasing Kit Siang, taking him on and delivering against all odds. He adds: I feel the Orang Asli people know who to trust and who they believe should represent them. And this is not the only tweet or Facebook post that has been getting massive responses lately. The ex-PM’s tweets and Facebook posts attract thousands of responses, making him the king of social media in a country that demolished his leadership after 48% of the population handed him a shock defeat in the May 9 general elections. Playing his cards well on social media, Najib is still pushing for recognition and respect. But alas for him, his new found art of rallying the crowds on his Twitter and Facebook accounts is a bit too late for him. These will not help him win the court cases that are piling against him in Malaysia. 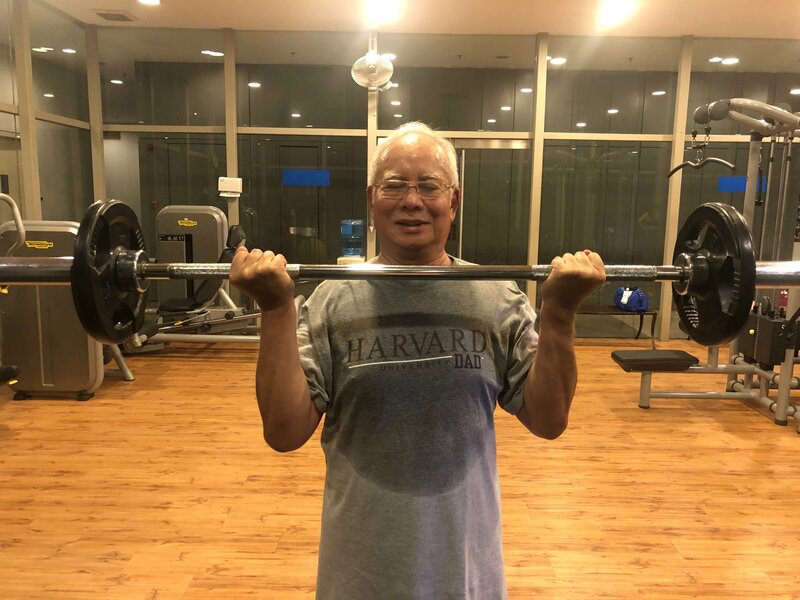 Nevertheless, he can enjoy the support he is getting surely from Barisan Nasional and Umno supporters, who are still in their millions across the country. Lately, Najib started using a handle on Twitter, #bossku and this is gaining traction among his followers. Saya datang ini nak beli strawberi saja. He is also using twitter tease the Pakatan Harapan government, particularly the DAP in the tweet above. He is using the social media network to garner more support, perhaps in a way that would make people regret his absence in the event he is jailed in the near future. That is if he fails to defend himself from the 1MDB saga. In the tweet above, he is saying they got his name right. Whether Najib is paying a ‘sifu’ in social media or has mastered his social media account so well after his government’s defeat last year is not known. After one such meet, Najib claimed the people is ‘missing him’. In this Facebook post, Najib Razak (perhaps for the first time), teased what he calls ‘trolls who are not happy with his posts’. As one can see, the post had 58 thousand likes, a feat only Najib Razak can achieve on Facebook these days in Malaysia. Even Tun Dr Mahathir Mohamad, who saw his popularity soar after the May 9 polls, could not match Najib on the number of likes on Facebook. Some Malaysians are suggesting that Najib takes up a new role in the country. Instead of being an opposition member alone, he could also reign as the biggest comedian in the country. Though he is getting wide support on social media, his accounts are still trolled by opposition supporters. And they are in their thousands to remind Najib of his role in the 1MDB and in other scandals that rocked his reign as PM and as Minister of Defense once. Najib rarely responds directly to these comments. Instead, he moves on to other posts that have so far galvanised his supporters but alienated those who voted against him.